Why are dressing rooms always in the back of stores? They can be hard to find (looking at you J.C. Penny), usually on the periphery. In past posts we’ve looked at how in-store sampling increases sales (free samples in grocery stores). So aren’t dressing rooms essentially a vehicle for in-store sampling…of clothes? Shoppers who use dressing rooms are 71% more likely to buy versus those who browse the sales floor at 28%. Those who use dressing rooms buy approximately two times what the browser buys. And they return less. Old Navy knows this and they redesigned their store layout to make their dressing rooms more prominent. They moved dressing rooms from the far back of the store and placed them in the middle of the store. Not only does this make the dressing rooms more initially accessible, it makes then far more convenient for repeat try-ons. 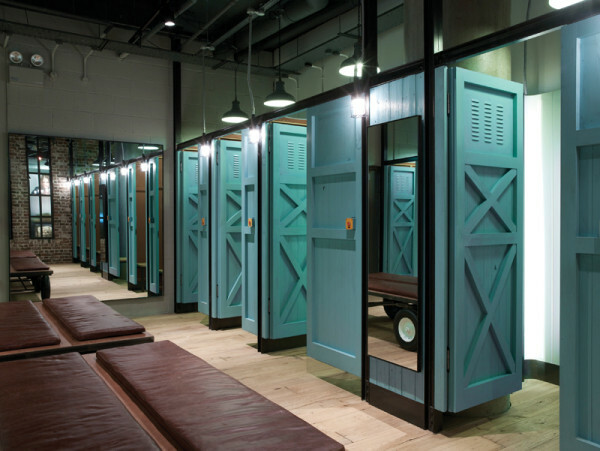 They’ve also installed quick change curtain-booth areas within each department so customers don’t even need to walk to the main dressing rooms. Over and over again we see that the easiest way to reduce risk to customers is to let them try the product before they buy it. From test driving cars, to free samples at Sam’s Club, trial increases purchase conversion. But what if you’re B2B and don’t make tangible products? Then let your customers see a software demo, an online portfolio, or a customer testimonial video about using the product/service. The question becomes, why aren’t more companies helping their customers try products or services before purchase?